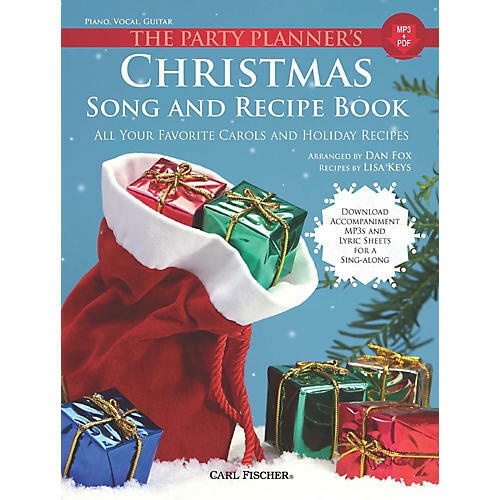 The party planner' guide to Christmas, this collection includes over 90 all-time favorite carols and 27 recipes from award-winning chef Lisa Keys. Perfect for any holiday get-together, each carol is arranged for vocal, piano, and guitar, suitable for beginners and intermediate players. Lyric sheets are available as separate downloadable files for group sing-alongs and caroling, and audio MP3 files are available of complete performances. Included in the book are beloved seasonal favorites such as Carol of the Bells, The First Noel, Dance of the Sugar Plum Fairy (from the ballet The Nutcracker), The Twelve Days of Christmas, Jingle Bells, Joy to the World, and Rudolph the Red-Nosed Reindeer.